''Troufaplus was created in the attempt of fully introducing truffle, the diamond of the kitchen as French Brillat-Savarin once called them. some scientific details concerning the chemical composition and nutritional value of truffles. Gourmet lovers can check out our recipes and try some recommended dishes by Greek chefs. Fresh truffle, by-products, domestic ware as well as gift boxes for you and your friends are available in our on line shop. 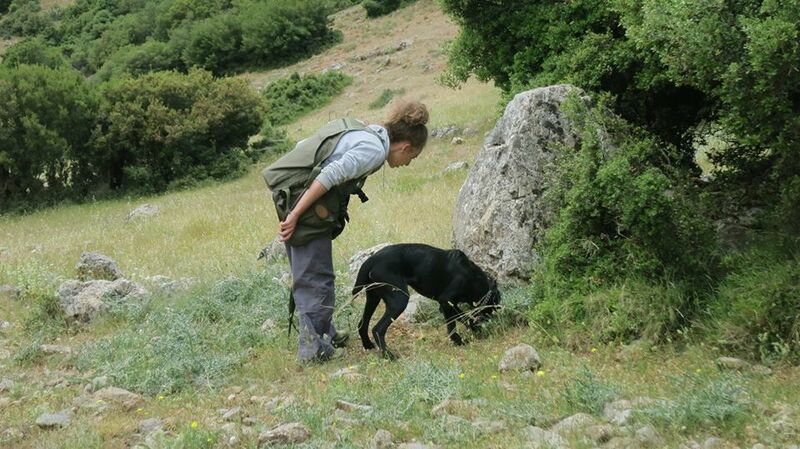 Have a look in our photo album where you can see our truffiere in Peloponnese and our truffle dogs. For information on truffle cultivation click the cultivation link. Truffles are a relatively rare species of an underground mushroom that grows in the roots of some trees or bushes. Truffle is the generic name of all the underground fleshy mushrooms-fungi belonging to the family Tuberaceae and to the genera Tuber and Terfezia. Their size is appoximately 2-7cm, their colour varies from greyblack to whiteochre and they grow underground in a depth of 6-15 cm. Like all fungi they cannot compose the necessary substances to survive. In order to compensate this impossibility, they attach to some plants (trees or bushes), creating a relationship called “mycorrhizal symbiosis”, from which beneficiate both parties. The symbiosis takes place in ligneous and forage plants and mainly in some forest species like hornbeams, hazels, pines, poplars, oaks, willows and limetrees.